Posted on November 25, 2011 at 3:21 pm. 1 Wouldn’t You Rather Prevent Mold Than Deal With It? 2 How are they harmful? 2.1 How can mold be prevented? Wouldn’t You Rather Prevent Mold Than Deal With It? This is a concept used in countless aspects of our lives, prevent it rather than deal with it. Nothing could be more true than when you’re talking about mold and mildew. Although they are a part of nature, they’re a part of nature that we don’t want in our homes. Considered a fungus, mold and mildew are insidious, and once they begin they can not only be toxic, but hard to remove as well. As the mold grows, it produces microscopic spores that travel through the air. The harm comes when they are inhaled, which gives them the opportunity to grow and thrive inside our bodies, especially in the lungs, which can cause respiratory problems. How can mold be prevented? In order to prevent excess growth in our homes, we need to understand what mold needs to grow and flourish. Food – Organic matter is what mold uses for its food source. 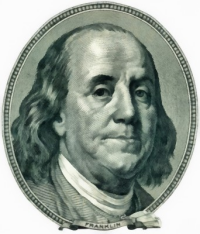 Proper temperature – Mold grows best at between 40°- 100° Fahrenheit. Moisture – High humidity or excess water and moisture. Keep in mind that when materials get wet and stay wet, they begin getting moldy. Once it has begun, mold can grow very quickly and very quietly, before you are even aware of it. So it seems the key to preventing mold growth is to either prevent or repair water problems. Unrepaired leaks in the plumbing or from a damaged roof. Landscaping that is too close, thus holding moisture too close to the outside of the home. Watering your home when you should just be watering the lawn. If there is water in your home that is not supposed to be there, remedy the situation to prevent further or future mold growth. Posted on November 18, 2011 at 3:07 pm. Considered one of the most toxic molds, black mold is also one of the most common types of mold found in homes today, and is often called “toxic black mold”. Extreme, but perfect examples of this are the homes that were flooded and abandoned in New Orleans when hurricane “Katrina” hit. Because the homes were so badly damaged and under water for so long, the residents moved away, giving black mold the perfect breeding ground. The walls, ceilings and floors were totally covered in black mold, leaving the homes uninhabitable. You don’t need a hurricane or other disaster to create the conditions for black mold to grow. You can have leaky pipes, a leak in the attic, blocked rain gutters that cause water to seep into your walls or a minor flood in the basement. If the problem and the damage goes undetected and untreated the toxic mold growth will begin. What makes black mold toxic? Mold reproduces and spreads by creating spores which travel through the air. As they land on surfaces that have the right conditions, they begin to grow and spread. 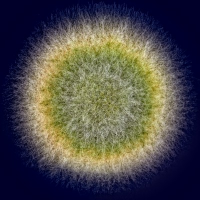 They in turn create more spores, and the cycle continues. If, when black mold spores travel through the air, they are inhaled by someone, they can settle in the lungs and bloodstream where they can grow and reproduce. What are the symptoms of black mold poisoning? They may also experience strong occurrences of allergy symptoms and asthma. Toxic black mold syndrome can become a horrible illness, and unlike a cold, these symptoms will not go away by themselves, and will often end up as respiratory issues. Like your symptoms, black mold in your home will not go away on its own – both you and your home need to be treated by professionals. Don’t put it off, contact me right away if you suspect you have black mold growing in your home – your health depends on it! Posted on November 4, 2011 at 9:03 am. Do You Think You Have a Mold Problem? Are there places in your home that smell musty or earthy? Do allergies seem to be acting up and getting worse? Does someone’s migraine headaches seem to be flaring up more frequently? These are some of the clues that might lead you to think there is mold growing in your home. Although they don’t mean that you positively have mold, they are pretty good indicators. If these signs appear, don’t ignore them, look around and see what you can see. Look for areas that might have excess moisture or water damage. 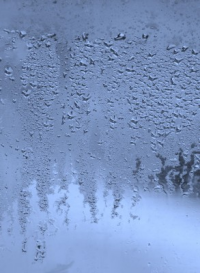 Heavy window condensation can be a problem, as the moisture builds up, it can drip on wooden window sills or puddle next to wall board. Walls, ceilings and wood work might have stains or water rings. Carpets may feel damp most of the time. Look for actual mold growth. It often appears as a harmless water stain that may appear fuzzy. It may have various texture appearances such as cotton, velvet or granular. It can be a variety of colors from white to gray to yellow, brown or green. Look in, behind and under. If you have looked everywhere you can think of, don’t give up, it’s probably in places that you can’t get to. That’s when you should call a mold remediation company. If you think you have located the mold, the next thing that needs to be done is to test for the type of mold that is growing, the risk factor to your household members and how what the extent of your problem is. This is not something that most people know how to do, nor should they. Remember mold can be very toxic. Again, this is when you should call a mold remediation company, they will know how to take care of the situation and help keep the extent of further contamination to a minimum. How Much Mold Exposure is Harmful in Seattle? Posted on October 26, 2011 at 12:58 pm. Is Mold Exposure Harmful in Seattle? Some people are more sensitive to mold than others, but no matter what your sensitivities are, everyone should limit their exposure to mold. Mold is actually a fungus and can be found indoors as well as outdoors. Although there is not an exact count of how many different types of mold there are, it is estimated that there may be from tens of thousands to as many as three hundred thousand. 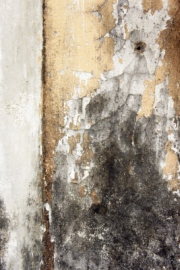 As most of us know, mold thrives in damp, warm, humid environments. They reproduce and spread by creating microscopic spores that go unseen by the naked eye. These spores travel through the air, and when they land on a surface that has moisture, they can begin to grow. Because the spores travel through the air, they can be inhaled, and if a person inhales large quantities, their health may be impacted. Molds not only produce allergens, which cause allergies, but they can also produce toxic substances, which may lead to sensitive people developing symptoms. The most common health problems caused by mold, whether by the actual mold or by the mold spores, are allergic reactions. Depending on the person, these symptoms may be manifest immediately or even after a period of time has passed since the exposure. Depending on the type of mold, even more severe symptoms, such as fever and difficulty breathing, may be caused in some people who are extremely sensitive or vulnerable. One young woman who is prone to migraine headaches began having the headaches recur more and more frequently. Then she noticed that during the weekends, when she wasn’t at work, the headaches were gone. She worked in a retail store that was located in a very old building where she discovered large of amounts of mold growing. Luckily the business was relocating, and once they had moved, the frequency of her headaches went away. 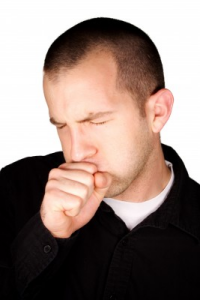 People who suffer from asthma have an especially hard time when they are exposed to mold. Because they have breathing issues already, mold can affect their upper respiratory system, making it even more difficult for them.